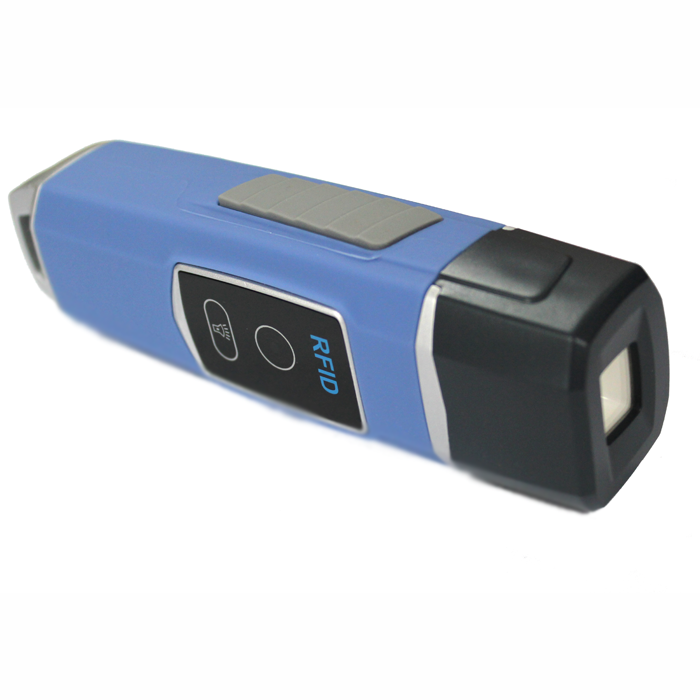 Sturdy and durable 125Khz rfid guard tour patrol reader with flash lighting torch and impact detection function. GS-V4 guard tour patrol reader system is consisted by GS-V4 patroller, checkpoint tags, guard id fob, GS-V4 patroller belt carry case, power supply and intelligent software for patrol management and report generation. As a patrol management device, it is widely used in public security bureau, railway, army, post, telecommunication, mobile communication, grain warehouses, petroleum industry, public traffic, highway, enterprise and commercial centres, hotels, technical building and living communities. Then the guards go to the checkpoints, the Reader will automatically read each checkpoints and no need touch it. When reading successfully, a “vibration and green led flash” means that a reading has been made. The GS-V4 reader will store the ID number and time for every checkpoint reading. After patrolling tour is done, use the USB cable to connect the computer and reader directly and get a data analysis, reporting and management. The reader can store up to 60,000 records so it is not necessary to download then daily you can download weekly or monthly depending on your requirement. Once the data is downloaded from the reader to the PC it will erase from the reader automatically but will always be there on the PC so you can do back date and can look up old reports or activity.